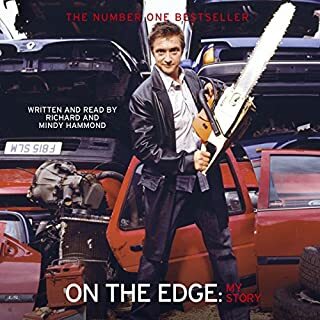 This audio book version of On the Edge concentrates mainly on Richard Hammond's rocket-car accident and the impact it had on his life and family in the few months that followed. The opening chapters, read by Richard, are entertaining and provide a good background to his career, although certain elements have obviously been omitted for this abridged version. Richard also reads the closing chapters, but the main focus of the title, his time in hospital and recovery, is read by his wife Mindy (Amanda). She pours her heart and soul into the book, and its clear that she still finds certain passages deeply upsetting. I was hugely impressed by her love, dedication and commitment to Richard and her family, and the touching way they re-found each other after his accident. It's hard, if not impossible to be anything other than captivated by the story, and I'd recommend it to anyone, not just fans of Top Gear.